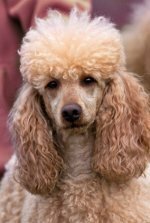 Welcome to the Poodle dog questions and answers page where you can ask a question and receive a reply from me or other members of this community. Poodle owners can receive free pet advice and learn more about their pup or adult dog from other readers. Asking or answering a question helps others who have the same question you do. You can also look at previously asked questions to find useful information. Use the form on this page and ask away - whether it's about breed characteristics, training, behavior problems, toy poodle care or anything else related to poodles. If you have an answer to a question, please feel free to leave a comment. One area NOT addressed on this page is veterinary medical questions. I'm not a vet and can't verify credentials of others who respond to questions. If you have a medical question, I recommend Ask a Veterinarian, an online service staffed by qualified professionals. Thank you for contributing to the useful information on our site and being a valued member of our poodle community! We hope you find our pet answers and questions valuable and helpful. Yes, most are good with children. 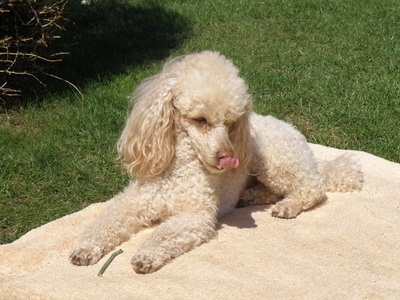 Poodles, like other dogs and humans, each have their distinct personalities. Families with young children may do better with a miniature or standard instead of a toy. The toy is well suited for a single person, a couple, or a family whose children are grown or are teenagers. Do poodles need a lot of exercise? They DO need exercise. They should be walked at least daily and should have room in the yard to be able to run around. The toy is suitable for a condominium or apartment but should be walked on a daily basis and will need to be let outside for bathroom trips. 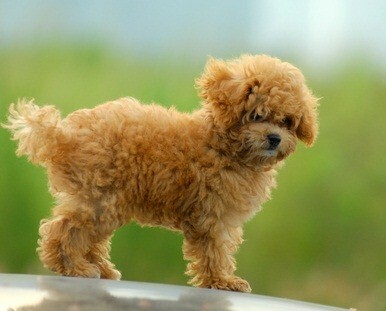 What is the poodle's personality like? This dog is a highly intelligent pet. They're fun loving, love to play, are quick and eager to learn new games and tricks, are faithful, loyal and protective of their families. Ask Questions and Get Answers - All About Poodles!